Dr Mark Beech and Simon Aspinall from ADIAS recently carried out a rapid archaeological survey of the island of Bazm al-Gharbi. 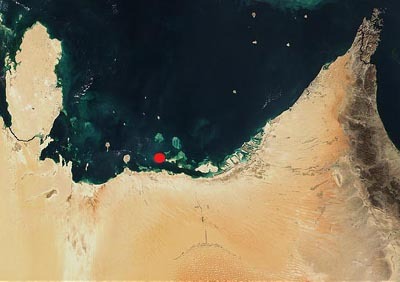 This small island is located about 250km west of Abu Dhabi, at the western end of the chain of islands running from Abu al-Abyadh to Junana, Marawah and Liffiyah, forming the outer side of the Khor al-Bazm. 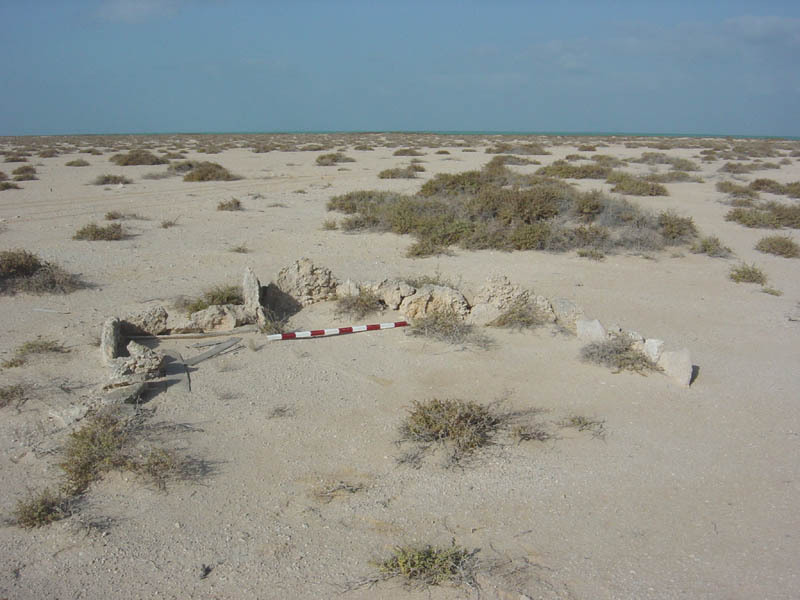 The island had not previously been visited by ADIAS, and the survey work, carried out on 21st-22nd December, fills in an important gap in our expanding data on archaeological sites on Abu Dhabi's islands. A total of 55 archaeological sites were mapped on the island using GPS equipment. These sites varied from fire-pits and hearths to cairns and house structures. A small stone slab outline mosque was identified on the south-eastern coast of the island. A mysterious large building oriented north-south was also discovered towards the southern end of the island. The dimensions of this building were 22 x 17 metres. A large concentration of pottery was collected from an area immediately adjacent to this building. This pottery will shortly be examined to determine information on the dating of this enigmatic building. A preliminary examination by Dr Rob Carter suggests that it may date to the Late Pre-Islamic period. Whilst some of the pottery collected on Bazm al-Gharbi appears to belong to the so-called Late Islamic period, a number of sherds are nor immediately recognisable. There remains the possibility that some of the sites identified from these surface pick-ups may be much older. Further work will be required on the analysis of the Bazm Al-Gharbi pottery, and a further visit to the island will be undertaken in order to take ash/charcoal samples from some of the hearths for radiocarbon dating. 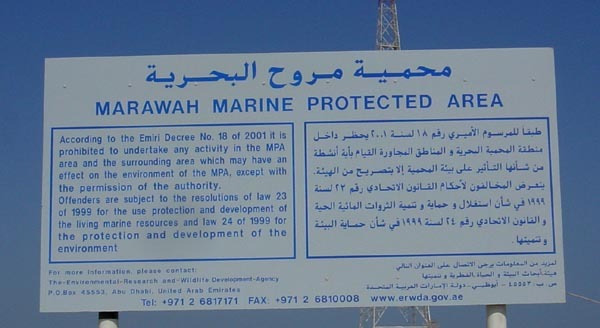 This work was carried out with assistance and support from the staff of the Marine Environmental Research Center (MERC) at the Environmental Research and Wildlife Development Agency (ERWDA). It forms part of the investigation by ADIAS of all archaeological sites within the Marawah Marine Protected Area (MMPA).